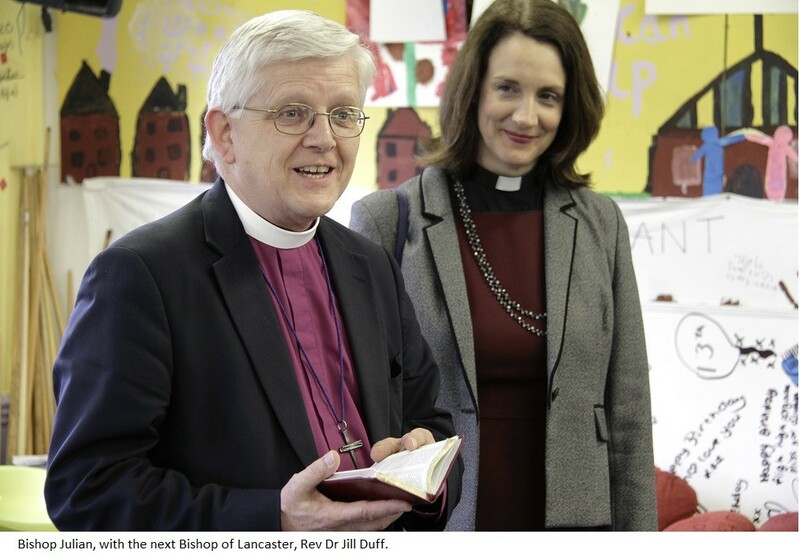 The Church of England in Lancashire is about to embark on an exciting week of events and the Diocesan Bishop, Rt. Rev. Julian Henderson, Bishop of Blackburn, recently wrote to parishes across the County anticipating what lies ahead. In the space of one week, the annual ordinations of Priests and Deacons will take place alongside the Consecration and Installation of the new Bishop of Lancaster, Rev. Dr Jill Duff. “From June 27, those to be ordained to the Diaconate and Priesthood will be entering into Retreat at Whalley Abbey. The Bishop of Burnley, Rt. Rev. Philip North, and I are co-leading the Ordination Retreat this year and are basing our talks on the letter to the Philippians, a wonderful epistle of joy written in a prison cell." All parishes received specific communications about arrangements for both the Consecration and the Installation services and should have actioned as appropriate by now. For more on all the above events as they happen keep an eye on the Diocesan website www.blackburn.anglican.org for the latest news and links to pictures and videos. For a video greeting from Rev. Dr Jill Duff to the Diocese, visit our YouTube channel – search online for ‘YouTube’ and ‘Blackburn Diocese’.